INDIANAPOLIS – A man who tried to rob a gas station on Indy’s northeast side was shot and killed by two customers on Saturday. Emergency responders were called to the GetGo Gas Station near Pendleton Pike and Shadeland Avenue around 6:30 p.m. for a shooting. 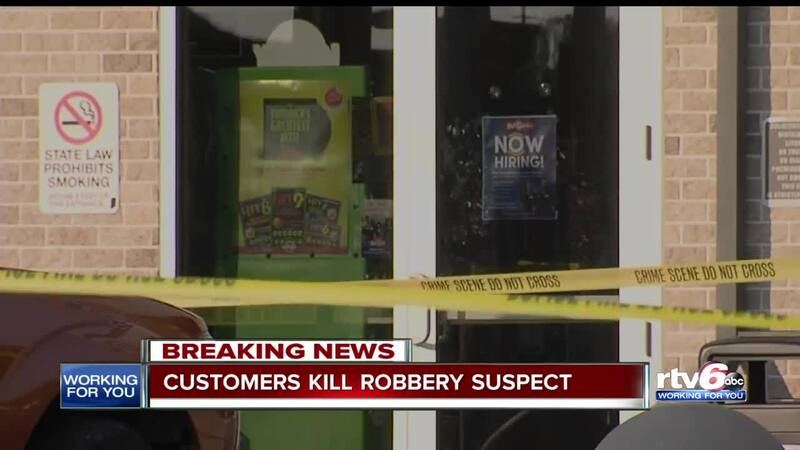 Indianapolis Metropolitan Police Department says the two customers witnessed the robbery and shot and killed the suspect. The case remains under investigation by IMPD. Anyone with information is asked to call Crime Stoppers of Central Indiana at 317-262-8477.